A California man tried to set himself on fire outside Donald Trump’s luxury hotel in Washington, DC, without success. He later told reporters he was protesting Trump being elected president, and was taken to a hospital with minor burns. The man, who was not identified by name, tried to start a fire at the intersection of 12th Street and Pennsylvania Avenue NW around 9:30pm local time on Tuesday. One of the witnesses, a construction worker, said he saw the man surrounded by flames and “uttering the name of President-elect Trump in what appeared to be an angry manner,” according to the Washington Post. The protester had “burn injuries considered to be serious but non-life-threatening,” and officials took him to an area hospital, DC Fire and Emergency Services spokesman Vito Maggiolo told the local news site DCist. Self-immolation gained prominence as a method of political protest in 1963, when a Buddhist monk in South Vietnam was filmed setting himself on fire to protest the policies of the US-backed regime of President Ngo Dinh Diem. More recently, a Tunisian street vendor who set himself on fire in December 2010, after the authorities confiscated his stall, touched off the ‘Arab Spring’ revolt in North Africa. Trump’s inauguration on January 20 has been a magnet for protests. Over 50 Democratic lawmakers have announced they will be boycotting the event. A massive women’s march is scheduled for the day after. Many artists, including the blind tenor Andrea Bocelli, have bowed out from performing after receiving death threats and pressure from fans and protesters. The Trump International Hotel in Washington, DC started out as the city’s post office in 1899, but was converted to an office building in 1914. 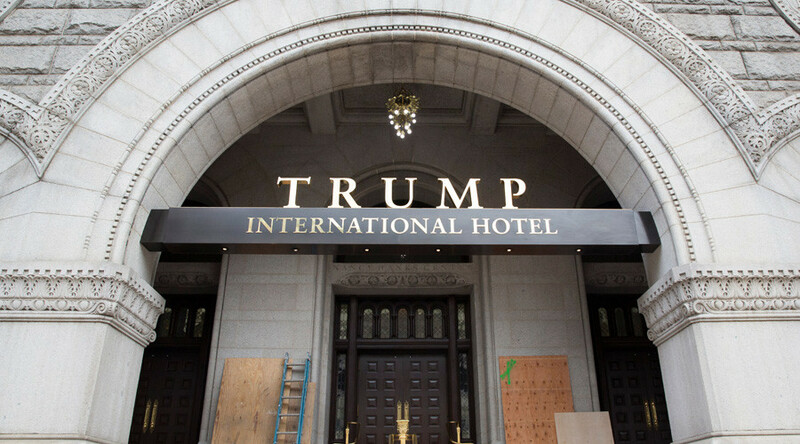 It was almost torn down on several occasions, until the General Services Administration signed a 60-year lease with Trump in 2013. The building was refurbished as a luxury hotel and reopened in September 2016.